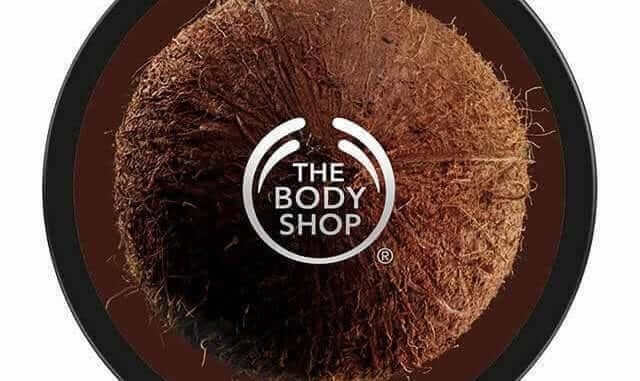 Beauty chain The Body Shop sold over 3 million vegan products both in the US and in the UK during 2018, which is more than half of its total sales in the US and third of the total number of The Body Shop products sold in the UK. According to The Body Shop, across North America more than 60% of the population claims to be more likely to use vegan cosmetics than standard beauty products. This shows in the numbers: vegan beauty owns the largest market share in the US at 36%. The Body Shop saw an increase of 6% in sales for its vegan products over 2018 in the US and 7% growth in the UK. 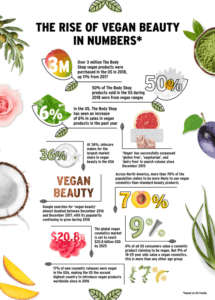 There is a clear trend towards ethical and environmental-friendly skincare: vegan beauty products launches have risen by 175% between July 2013 and July 2018 globally, while the global vegan cosmetics market is now predicted to be worth $20.8 billion USD by 2025.